Zipcar is adding 325 all-electric e-Golfs to its car-sharing fleet in London from this summer. The deal builds on the firms’ existing partnership and brings members access to zero-emission motoring with the recently relaunched e-Golf offering an NEDC range of 186 miles, giving rise to a range of 124 miles under real-world conditions. As well as a 50% uplift in its range and the energy capacity of the battery, which now stands at 35.8kW, the latest e-Golf now produces 134bhp, instead of 115bhp, and offers a 0-62mph time of 9.6 seconds. 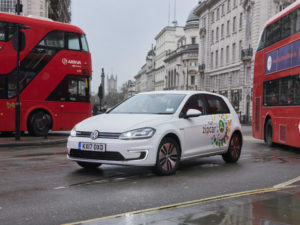 The e-Golfs join the recently launched Zipcar Flex scheme in London, which provides a one-way, drive and drop service. Booking is completed either online or through the Zipcar smartphone app.